Researchers at the University of New Hampshire have captured a difficult-to-view singular event involving “magnetic reconnection”—the process by which sparse particles and energy around Earth collide producing a quick but mighty explosion—in the Earth’s magnetotail, the magnetic environment that trails behind the planet. Magnetic reconnection has remained a bit of a mystery to scientists. They know it exists and have documented the effects that the energy explosions can have—sparking auroras and possibly wreaking havoc on power grids in the case of extremely large events—but they haven’t completely understood the details. In a study published in the journal Science, the scientists outline the first views of the critical details of how this energy conversion process works in the Earth’s magnetotail. This work was funded by the National Aeronautics and Space Administration, or NASA. 1 Comment on "MMS Spacecraft Provide First-Ever Views of Elusive Energy Explosion"
I so much prefer D Scott’s description referencing K Birkeland’s research into why power lines overloaded and blew out. NASA’s ICON page is much more helpful in describing the surprising magnetic spirals as a product of the disruption of the electrical current. 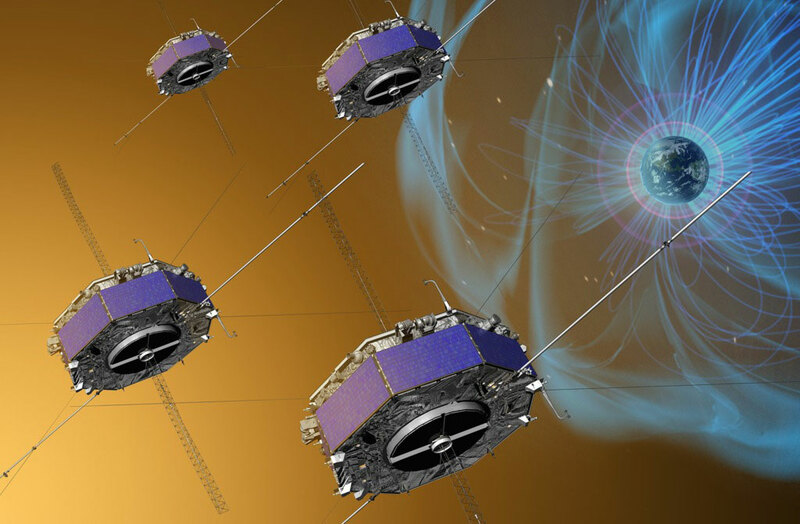 One hopes to eventually hear how the plasma clouds in the ionosphere can massive collect.